To stream the shortest podcast we’ve (ever?) recorded, click here (right-click, save-as to download). You’re also welcome to get automated, free updates via Itunes here (vote us up!) or via our RSS here (go to iTunes and vote us up anyway!). The Diamond Tour’s podium setup raised some questions from riders like Marijn de Vries and had the organisers quickly putting out a statement. Anna Zivarts gave us a glimpse of what it might look like the men were treated in the same way. And, of course, the Aviva Women’s Tour is a hotly anticipated race with lots of media and Marianne Vos doing commentary for the tv highlights! Race report on Cycling Tips and photos from Velofocus – Emma Johansson’s post-race blog and Ashleigh Moolman-Pasio – and reports from Boels-Dolmans, ORICA-AIS, Wiggle Honda, Bigla and Rabo-Liv. 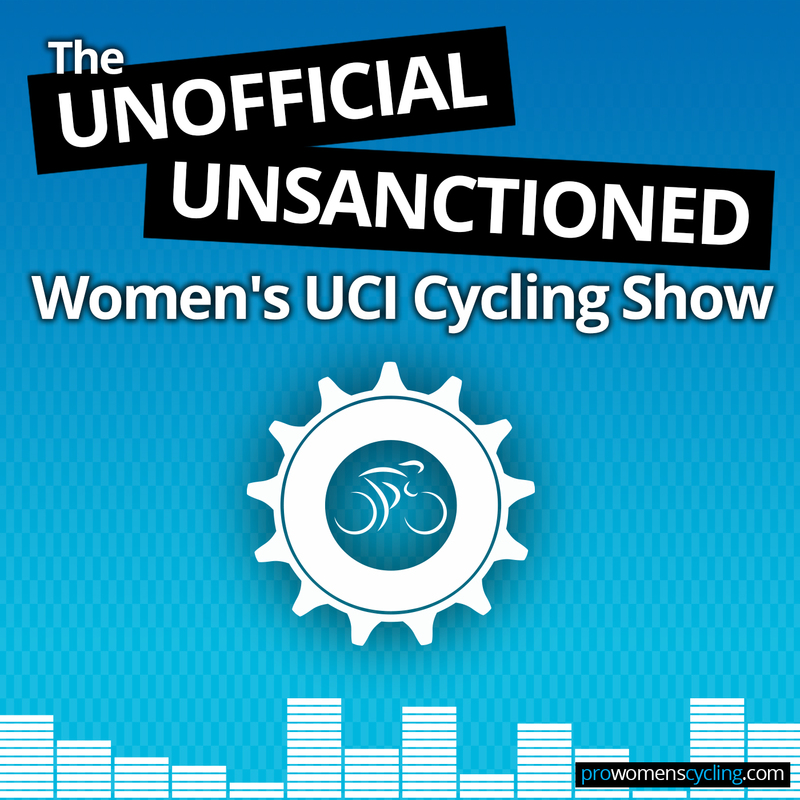 Mini videos of Loren Rowney & Elena Cecchini, Elisa Longo Borghini & Ashleigh Moolman-Pasio, Trixi Worrack and Alena Amialiusik (love Worrack’s oops moment) talking about what it was like to race.